Hello Ged! Thanks for giving us this opportunity of the interview with you. It’s nice to have Rage Of Angels on our site. It's a pleasure, thank you for inviting me. You have been out of a musical activity for a while. Did the idea of having a band come up in your mind during those years? Have you been yet thinking about it when you left the previous band? The Idea that I would release the album wasn't planned at first... it was more of a hobby for me as I had built a studio at home. It was only in the last couple of years that people convinced me that this really should be released... When I left ten I sold all of my keyboards and didn't even listen to music for a while... music never leaves you and it was tough being a single parent, but it was all worth it and it's very nice to be back writing and playing music. I heard all songs on the album “Dreamworld” were made while you had been taking a break. What kind of instruments did you use when you write a song? Keyboard? I write songs 100 % in my head... I always have ideas it's just that these days I actually sing them into my phone, then I have a reminder when I listen back to it. I always hear the finished song in my head... it's trying to make the studio recordings sound like what's been playing in my brain that is the hardest part... I know what the song should sound like, but sometimes it takes a lot of work to get there... I play all of the instruments and backing vocals ready for lead vocals and lead guitars... we then replace the bass and drums and some rhythm guitars before mixing. Great and well known musicians joined to play on the album. I think it's not an exaggeration to say that "Dreamworld" was made by the dream team. Have you known them for years? "Dreamteam"... I like that !... technology means that you can record an album with people who are spread across the globe without ever having to be in the same room... or even same country !!... a lot of the contacts were through Bruce Mee, who put Ten together as Now And Then label boss all those years ago, and Khalil Turk, president of Escape Music... some of the other guys like Ralph Santolla, Vinny Burns and Neil Fraser were already friends of mine. What kind of music do you think is influencing your music, except in your genre? Good question... I'm really influenced by bands such as The Eagles and The Beach Boys... 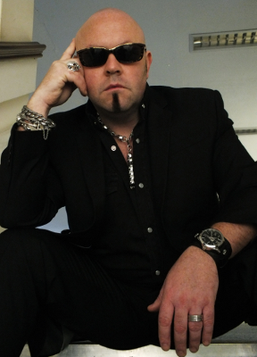 I grew up on big vocal harmony bands and that's really influenced my songwriting... I recently saw Elton John live and l was literally moved to tears it was that good... I also grew up with Deep Purple, Whitesnake and UFO... all old school "proper" rock bands. I heard you have already started working on the second album. Are you going to recruit a vocalist in your band or invite specific vocalists from other bands for the album again? Tell us more a bit about the upcoming album. Yes I started work on album two recently... I honestly don't know the next one will work out until the songs start to take shape in the studio... I'd like to think that it would be a natural successor to Dreamworld... it's exciting making music... I've already written the songs so its just capturing them in the studio now... but I think it will be very similar in terms of the musicians to the first... I played on five albums last year but this year will be mainly ROA studio wise... plus I'm touring with Danny Vaughn in his solo band and also Tyketto again and ROA live shows so it should be a busy year. I think it’s hard to do a live show together as a band, because each member has a different band and project. 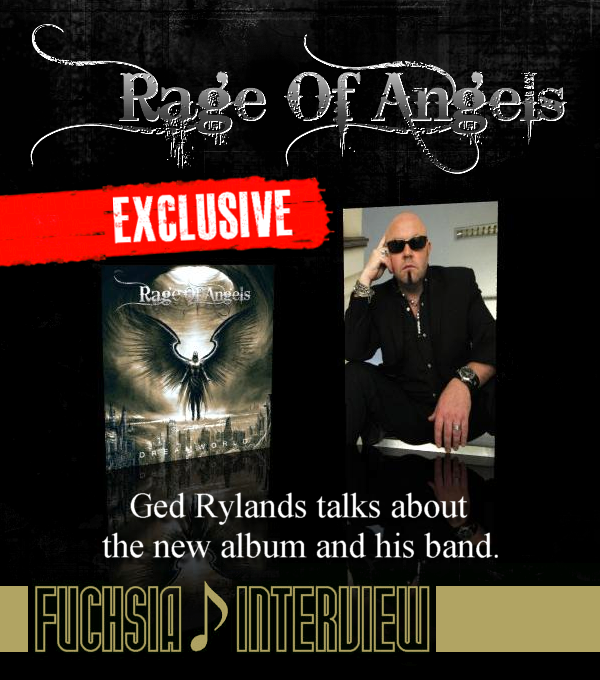 Can I say Rage Of Angels is not for a live band, but a recording band? 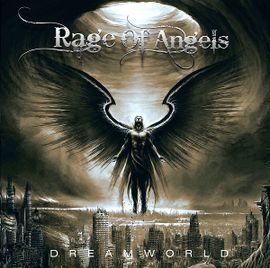 What do you think about a live show and a tour as a band Rage Of Angels? Rage of angels is definitely a live band!!! I have already spoken to promoters about putting a tour together in Europe... and I already have an amazing live line up of very well known musicians who will be coming on tour with me... we've shot a video to the track "Over and Over" and I will be using most of the live band on album two... it's not a project... it's something that people can buy the album and then know that they can come and hear the songs live too... I think it will eventually become more of a stable band as it evolves. Japan will always have the most special place in my heart... I've played some of my favourite ever shows in Japan and I would love to bring Rage Of Angels over to play live for the Japanese audiences... we are ready and willing... we just need to be invited !!! Thanks, Ged. Hope to see you in Japan soon.